The new Windows 8 is set to launch on October 26th, and developers and early adopters are still getting used to the new interface. Windows 8 borrows a lot of its functionality and look from the touchscreen-friendly Windows phones. As with Windows phones, Windows 8 uses the now ubiquitous tiles as part of the new Metro Desktop. These tiles, much like the vintage iPhone icons, can get a little stale. 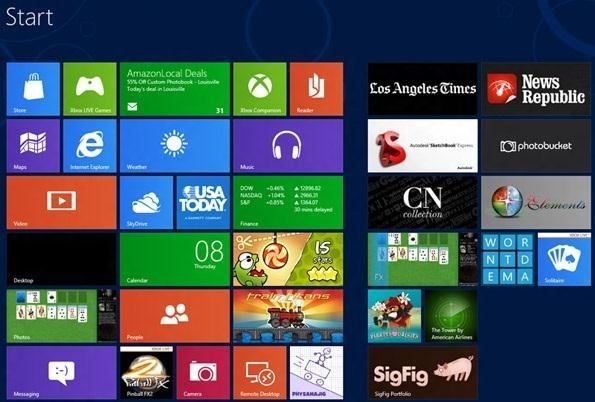 But unlike the iPhone, Windows 8 users can in fact create custom tiles in their own without any software hacking. 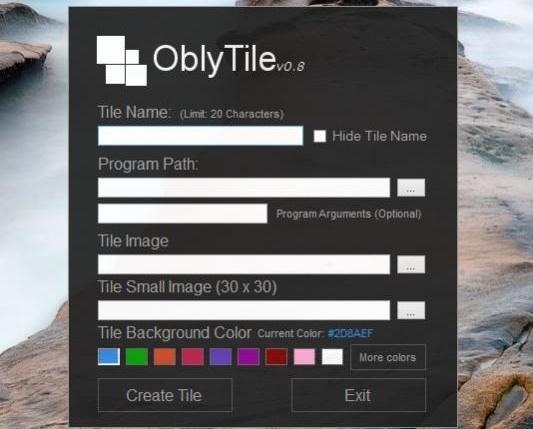 All you need to do is download OblyTile and have some sort of imaging program to create the tiles. The larger tiles are 120 x 120 pixels and the smaller list icons are 30 x 30. You will need to create your new images using these dimensions. Here is a video from pocketnow, showing OblyTile in action.